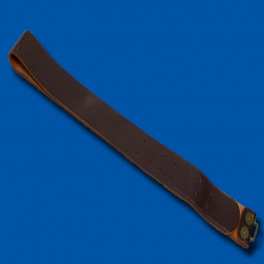 Made for the military so you can expect this real leather belt to be of the highest quality. Wide brown leather of a good length, when doubled makes an instrument of punishment to be reckoned with. Comes complete with the original quickly detachable steel buckle. New and unused.